This was the year that concentrated photovoltaic (CPV) started to get some real traction. Despite the enormous amount of press and VC funding for CPV's potential, the market has not translated that potential to actual steel in the ground and electrons in wires. While the CPV market is currently just a small portion of the world’s total installed solar base at just 28 megawatts of the total 33,000 megawatts, CPV technology is finally gaining momentum with multiple utility-scale project announcements over the past year. 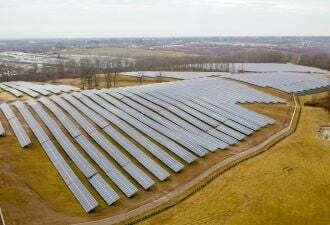 This growing pipeline of CPV would seem a vote of confidence from solar developers for a technology that, to date, has been marginalized because it was considered unproven and risky. GTM Research just published a report, Concentrating Photovoltaics 2011: Technology, Costs and Markets, that looks at the competitive dynamics affecting global CPV market potential. 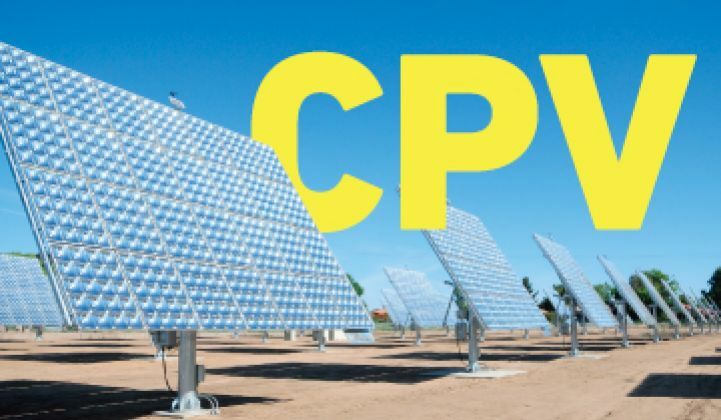 The report focuses on CPV’s position within the solar power landscape, with an examination of how CPV stacks up against non-concentrating solar technologies on a series of key technological and financial metrics. Overall, GTM Research’s report forecasts annual CPV installations to surpass 1,000 MW per year by 2015. 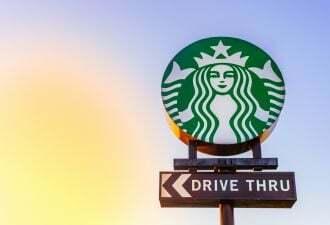 The forecast is predicated upon CPV companies successfully achieving their cost reduction roadmaps, and bringing the installed cost of a CPV system down by more than 30 percent over the next four years. Where will that price reduction come from? One place will be from the solar cell suppliers like Solar Junction, Cyrium, Semprius, Soitec, and JDSU that have made advances in the triple-junction cell that lies at the heart of the CPV system. We've covered those firms and their progress in depth. What's it going to take to move CPV out of PowerPoints and into power plants? A good start would be having PPAs in place at market referent pricing on large-scale projects that actually get built and interconnected. Soitec, the recent acquirer of Concentrix' CPV product, was selected by Tenaska Solar Ventures for a 150-megawatt solar project for San Diego Gas & Electric. The CPV solar power plant, known as Imperial Solar Energy Center (ISEC) West, will be built on a 1057-acre former farmland site in southern California’s western Imperial County; completion is targeted in 2015. To support the project, Soitec will build a 200-megawatt-capacity factory in the San Diego area that would create hundreds of jobs. Before we pop the champagne corks, it's important to realize that all of this -- the project and the factory -- depends on a U.S. DOE loan guarantee. The 25-year PPA is between SDG&E and Tenaska Solar. SDG&E also just announced a 125 megawatt PPA with Soitec, bringing the SDG&E CPV PPA total to 305 megawatts. Other CPV vendors with big projects in the pipeline include Amonix and SolFocus. Smaller entrants might include GreenVolts. Currently, three CPV technology providers are at the head of the market -- Amonix, Soitec, and SolFocus -- accounting for 96 percent of global projects in operation, construction or development (with signed PPAs). Each has boosted their respective viability over the past two years by attracting strong strategic partners such as Boeing, EPC firms Bechtel and Mortenson, and insurance giant Munich Re -- bringing credibility to the technology and helping future plants to secure project finance. Amonix just officially cut the ribbon on its new manufacturing facility in north Las Vegas. CPV solar power systems have the potential to be more efficient and perform better at high heat and high DNI conditions than flat plate solar. VCs seem to be taking note as well. Morgan Solar, the Toronto developer of CPV modules, is soon to announce that it has raised $16.5 million in a second round of venture financing, according to Green Energy Reporter. For more in-depth coverage of the Concentrating Photovoltaics 2011: Technology, Costs and Markets report, visit this link.